A water collection point in a Rohingya refugee camp. The upcoming rainy season will create more problems for the make-shift living infrastructure. 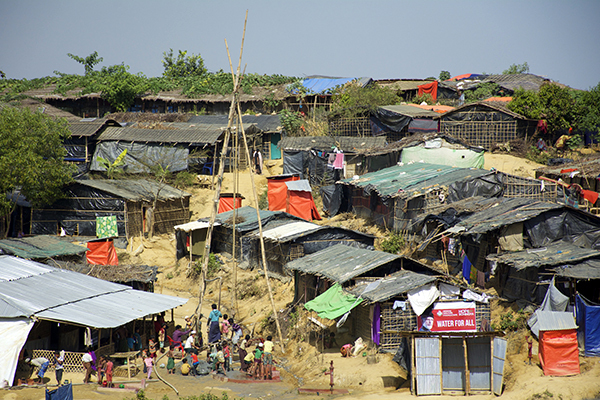 During a recent visit to the United States, Dave Eubank spoke with PRI’s The World regarding the Rohingya crisis, ARSA, and what the future may hold for Rohingya refugees. To listen to the interview, click the link below. American aid worker and former special forces officer David Eubank recently returned from Rohingya refugee camps in Cox’s Bazar, Bangladesh where he met with the insurgents of the Arakan Rohingya Salvation Army. Eubank tells The World’s Marco Werman the group is poorly trained and funded but determined to offer armed resistance to Myanmar’s government.